Best of luck to Joinees Seán Gleeson, Dave James and Rachel Burns who are taking part in the fiendishly difficult game show “Only Connect” on BBC Four at 8:30pm on Monday 27th August. They are up against a team of beer-loving draughtsmen. I’m sworn to secrecy as to how they get on, but I’m promised that there’s a very exciting finish. Well, I can’t believe it. 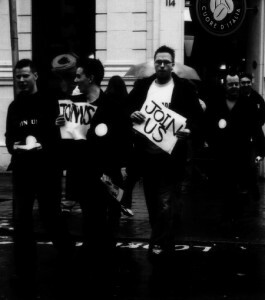 It’s ten years since I stood at the bottom of Oxford Street holding a sign saying ‘Join Me’ and waited to see who’d turn up. Ten years!! The next year – hundreds. Will you be there this year? Come on! It’ll be fun! 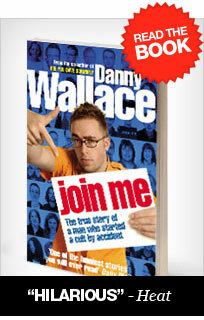 Check out the details at www.joineeforum.com! Do it! Twendane is located in Naivaisha District, south-western Kenya, and was established in 1978 by the local community. 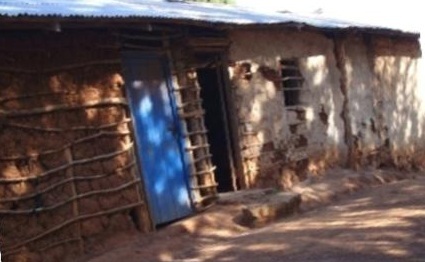 Build Africa started working with Twendane in 2009 after seeing the poor conditions of the school first hand. Children were crowded into small, draughty classrooms with dirt floors which turned into mud during the rainy season. Hygiene and sanitation levels at the school were low, with temporary latrines presenting a health hazard to the children. 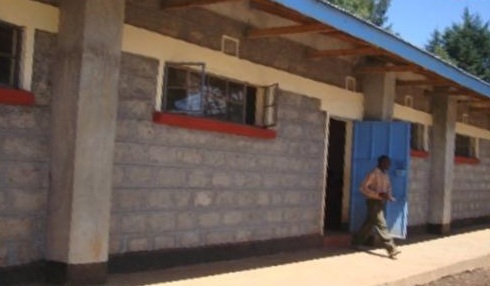 Unsurprisingly, Twendane’s academic performance in the Kenya Certificate of Primary Education (KPCE) was poor, so pupils had little chance of progressing to secondary school. New toilet blocks were built in 2009, and new classrooms built in 2010 provided bright, spacious learning environments. A School Management Committee was set up and trained to ensure the smooth running of the school, and a School Development Plan was formed in partnership with the local community to establish priorities for the school’s development over the next three years. In 2011, the school received new educational resources and sports equipment, helping to improve the quality of children’s school experience within and beyond the classroom. There has also been a dramatic improvement in the academic performance at the school – Twendane is now one of the top-performing schools in the area. …but there’s still a whole load of work to be done. Thankfully – it’s totally achievable! If you’d like to come along to K10 on December 3rd, head over to the forum for more information. Thought I ought to get round to dropping you a line to let you know about my appreciation of your ‘Joinee’ troop. Got married just over six years ago and had a wedding list with Debenhams, as we got nearer the big day we were advised that we required to add further items to the list. On checking the items purchased we noted that four presents had been bought by Joinee members (people unknown to us), obviously doing their good Friday deeds. Have been a fan since. 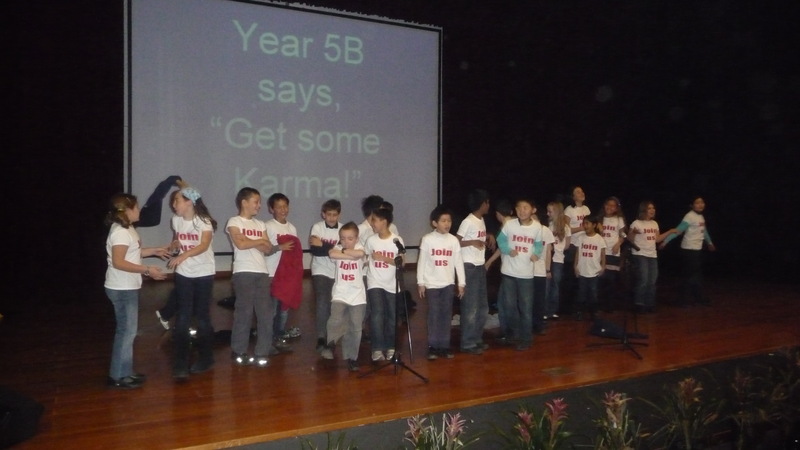 From the Archive… First Joinee Task! Right at the beginning, when I didn’t have very many joinees at all, I also had little idea what to do with them. I discovered a small group were meeting on the edge of Hyde Park in London, so, acting all mysteriously like a good Leader should, I sent them a package. 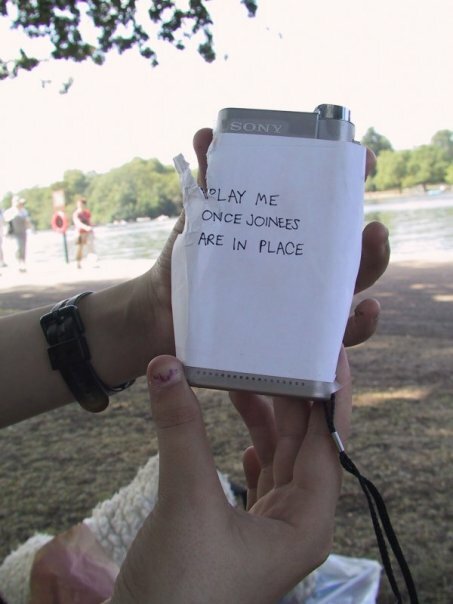 Inside was a disposable camera and a dictaphone, as well as strict instructions not to play the tape until all the joinees had gathered. The message told them to go out and make an old man very happy, and take pictures of their endeavours. They did – old men were made happy right across the capital – and the beginnings of the Karma Army were formed that day. And the final man they met on their adventure? Raymond Price. Cheers for the photo, Matt! 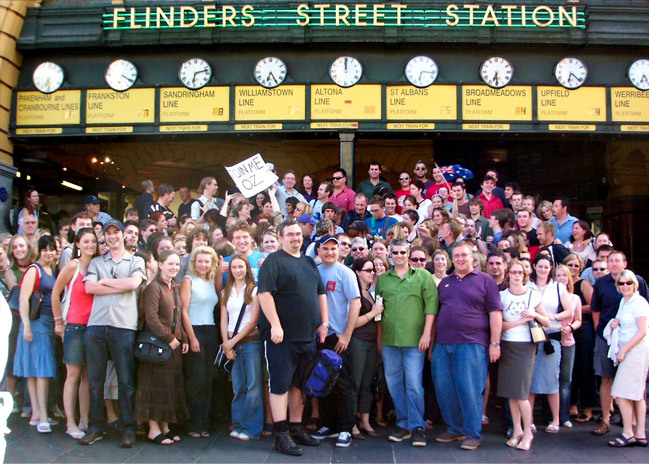 Back in 2004, The Australian Karma Army (aka AKA) was born, as I traveled to Melbourne and Sydney to spread the word. I had no idea how many people would turn up to Join Me at Flinders Street station when I announced on the telly that I’d be there… and was shocked when I crossed the road and saw the crowd. Hey! What are you doing on Saturday December 4th? Fancy joining a bunch of joinees in spreading some pre-Christmas joy to the people of London? Then why not come along to Karmageddon 8? If you’ve never been to a Karmageddon before, you can expect a march through the streets of London, present-giving, raffles, auctions and maybe a little bit of drinking! And it’s all for a good cause, as all monies raised will be shared between a couple of great charities. Watch this space for more news soon. Join Meets also take place all over the UK throughout the year (why not check out the joinee forum to see if there’s one near you, or organise one yourself) and they are a great way of meeting other joinees and spreading the word of Join Me. This year, meets in Nottingham, Liverpool, Inverness and Market Harborough have raised huge sums of money for charities such as Mind and the RNLI.